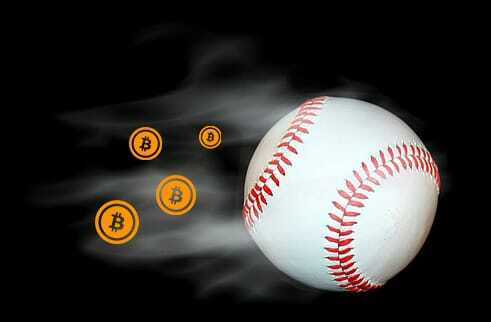 Here you'll get the answer to Where can I bet on baseball with Bitcoins? Moreover, we'll provide you with the best sportsbooks with exclusive Bonus offers. Baseball betting is much different than Football or Basketball in that there are no point spreads. To most recreational bettors the odds that are used in baseball are unfamiliar to them. In reality understanding, baseball odds is easy if you only take a few minutes to learn how they work. Let’s take a look at the different kinds of lines that are offered by Bitcoin Sportsbook Websites for baseball. As mentioned before there is no point spread in baseball, odds will instead be represented as money lines. With money line bets the bettor is not concerned with how many points a team wins by but rather who is going to win the game. The oddsmaker will decide on a favorite and an underdog and give odds based on this. An example of a money line would be the Dodger -130, which would mean they are the favorites and you would need to bet $130 to win $100. If the Tigers where the underdogs at +130 it would say you would only have to bet $100 to win $130. A run line is similar to a point spread in other sports. They are a combination of the money line, and the point spread mixed. Run lines are set at -1.5 or +1.5 in most games. The run line is then combined with the money line. For example, the Dodger would be +1.5 -120 and the Tigers -1.5 +130. If you were to bet on the Dodgers, you would still have to bet $130 to win $100, but the Dodgers would get 1.5 runs. So if the Dodgers were to lose by one run, you would still win your bet. Betting on the run lines can be a good idea in games that are predicted to be low scoring. Just like in football and basketball you can bet on the over/under of any baseball game. The only difference is that a money line is also added to your bet. This added money line is not too hard to understand though. A baseball over/under would look like this: Team1 Over 7.5 (-125) or Team2 Under 7.5 (+100). If you were to bet on the over in this game, you would have to bet $125 to win a $100 just like betting on a money line. The only difference would be you are betting on the total score rather than which team will win. If you had bet on the over, to find out if you won just add the two teams’ final scores together and if the total score is above 7.5 you win your bet. As you can see learning how to bet on baseball is not that hard. This guide on should give you the necessary knowledge you need to start placing your bets. Baseball betting offers a whole new world of opportunities for handicappers. As baseball is one of the most favorite sports wagering online among others like basketball, football, and soccer. You will want to make sure to place your wagers on trusted and reliable sites.